Even before the sun is up, dozens of florists arrive at the Inter-Provincial Flower Market. 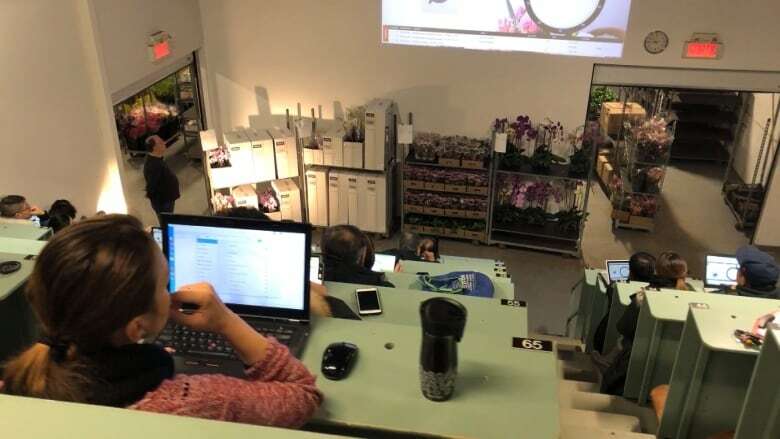 Located inside a bland, concrete warehouse across the street from a hydro-electric corridor in Montreal’s Saint-Laurent borough, the market is where fresh-cut flowers arrive in Montreal. There are more than 250,000 flowers up for auction. Tens of thousands of roses alone will be bought by florists to stock their shelves in anticipation of Valentine’s Day. Murray Van Egmond, a florist, is at the market to buy Valentine’s Day flowers for his Montreal West store. “It’s based on the Dutch reverse auction,” says Van Egmond. Flowers are sold via a unique auction based on a method Dutch flower markets have used for centuries — the price starts high and drops at timed intervals. As the price decreases, bidders try to get their flowers before another florist. At 6:30 a.m., a siren goes off to announce that the auction is going to begin. The florists assemble in a small room that resembles a university lecture hall. Dozens of carts of fresh flowers are wheeled into the auction room. The florists sit on rows of steel benches that slope up to the ceiling. Above the flowers is a video projection of a clock that counts down a price — from high to low. 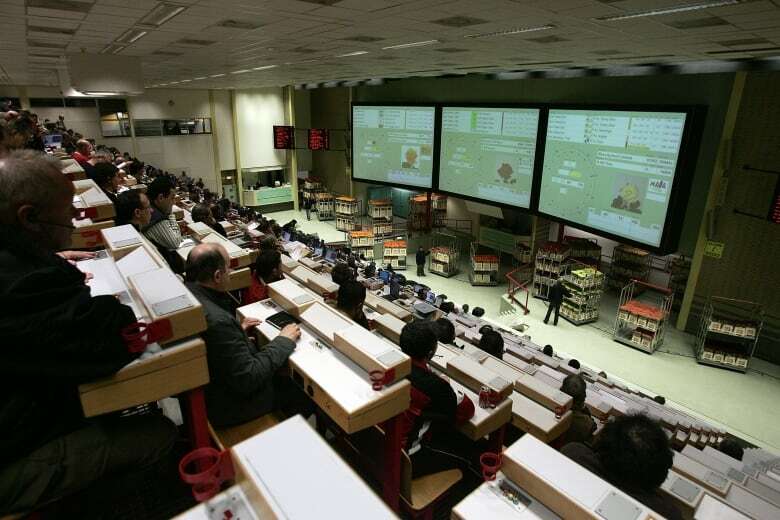 Bids are made on flowers with computer tablets. Buyers can also follow the auction from home. Van Egmond’s auction strategy is to keep an eye on the number of people in the stands to judge what he’ll bid. “If there’s very few people, then you know that you can be not so worried about paying a high a price,” says Van Egmond. The flowers arrive at the market on express freight trucks in the middle of the night. They can come from Quebec or Ontario, or as far away as South America. 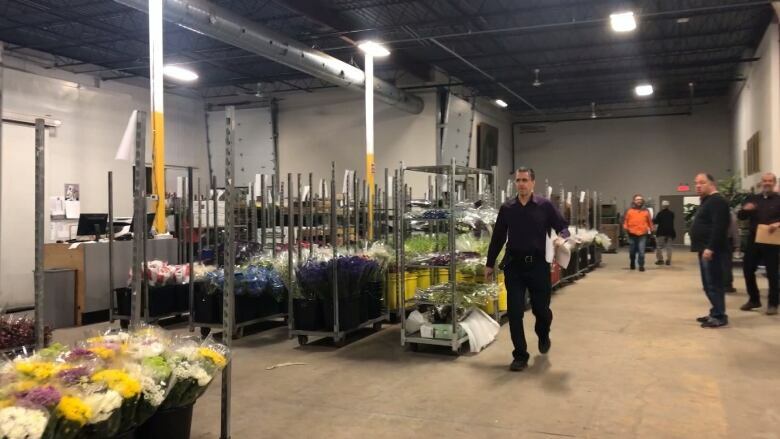 Roses sold for Valentine’s Day are mostly grown in South American countries like Ecuador and flown to Miami, then driven by truck to Montreal. “It takes three days to come to Montreal.” says Pierre Charbonneau, the market’s general manager. Born into a family of florists, Van Egmond started going to the market as a teenager. Over the last three decades, he’s seen the online distribution of flowers grow steadily. 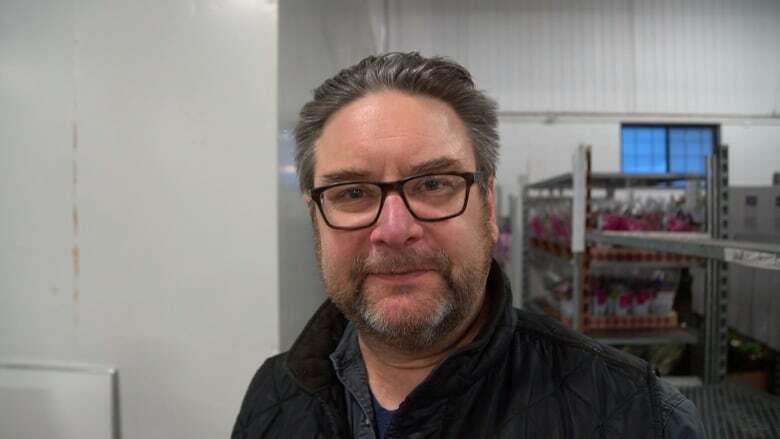 “The younger generation who we were hoping to add to our client base … they go on the internet and buy flowers,” says Van Egmond. At the same time, he can’t match the prices offered by big box stores such as Costco. Recession or just a soft patch? Mangoes in Charts: With supply deficits expected over coming weeks, could prices double?